Fans blew up the internet this weekend with their video and screenshot analysis of whether or not J.T. Barrett of Ohio State got the first down in the second overtime against Michigan. The referees ruled he did. Aside from Western Michigan beating Toledo to finish the regular season undefeated, and Eastern Michigan clinching their first bowl game in nearly 20 years earlier in the week, it was a pretty rough week for most Michigan college football fans. John U. Bacon joined Stateside for his weekly sports roundup and it was all about football. On Thursday, the eyes of the nation were on the Detroit Lions coming back to win in the fourth quarter for the seventh time this season. When the dust settled, the Lions were all alone in first place in the NFC North with a one game lead over the Minnesota Vikings (and Detroit owns the tiebreaker over Minnesota after winning both games this year). 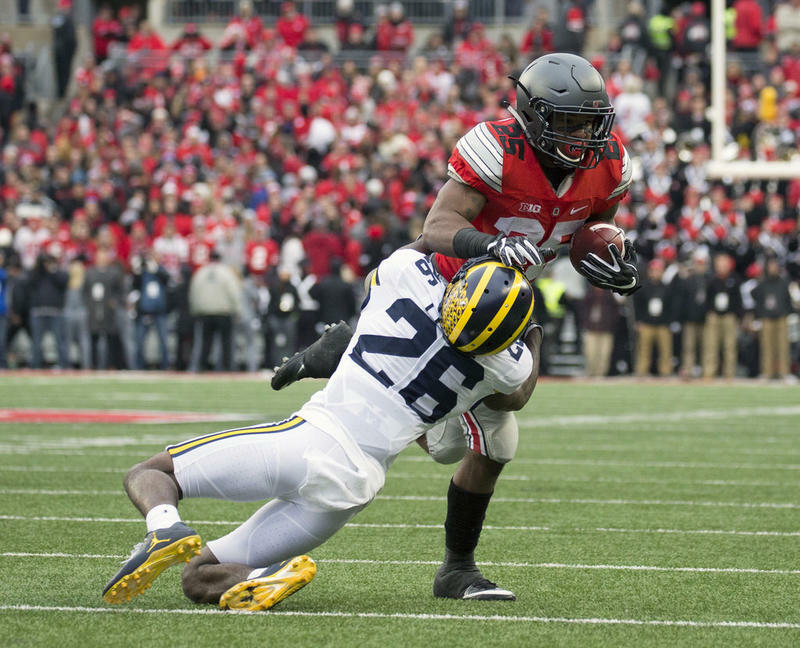 Two days later, the eyes of the nation were fixed upon "The Game" between Michigan and Ohio State and it lived up to the hype. Unfortunately for Wolverine fans, it was the Buckeyes who prevailed, winning 30-27 in double overtime. Saturday's contest was the 113th meeting between the two schools and it was the first time that the game went into overtime. While Michigan's play on the field is partly to blame for the loss, Bacon echoed the post-game thoughts of Jim Harbaugh who made headlines for complaining about the quality of the officials. 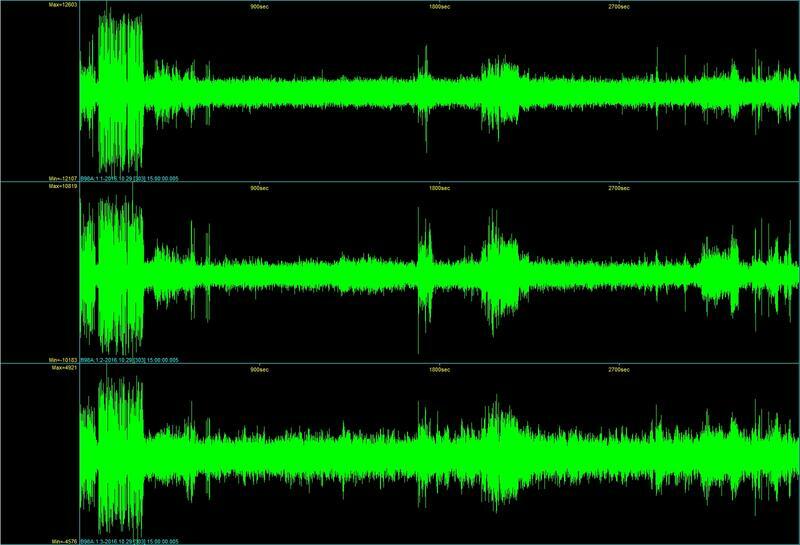 The play that is getting the most attention is Ohio State's controversial fourth-down conversion in overtime, which fans and the media have analyzed over and over this weekend. If you're an Ohio State fan, he made it. If you're a Michigan fan, he didn't. If you're an official, you'll never make everyone happy. It was reviewed and the officials ruled that the Buckeyes got the first down, which allowed them to score the game-winning touchdown on the next play. Had they ruled that Ohio State QB J.T. 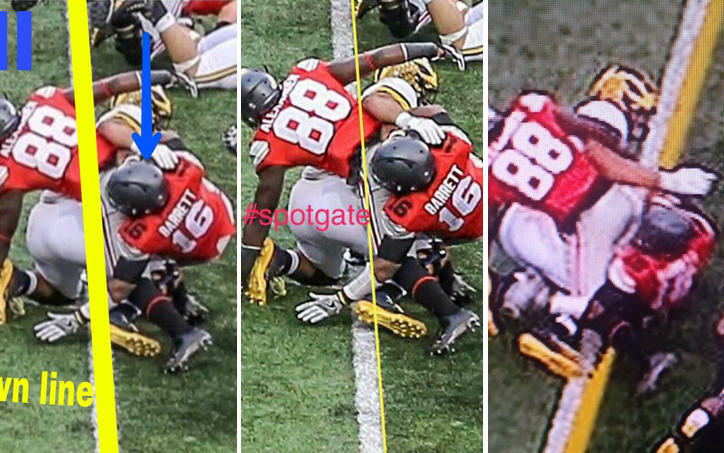 Barrett didn't get the first down, the game would have ended and Michigan would have won. Listen to the full interview to hear Bacon's thoughts on the questionable officiating crew for the Michigan-OSU game, how Western Michigan could have a Heisman Trophy candidate on their hands, and the biggest reason why the Lions are in first place with five games left. Our conversation with John Johnson and Kevin Bellefeuil. 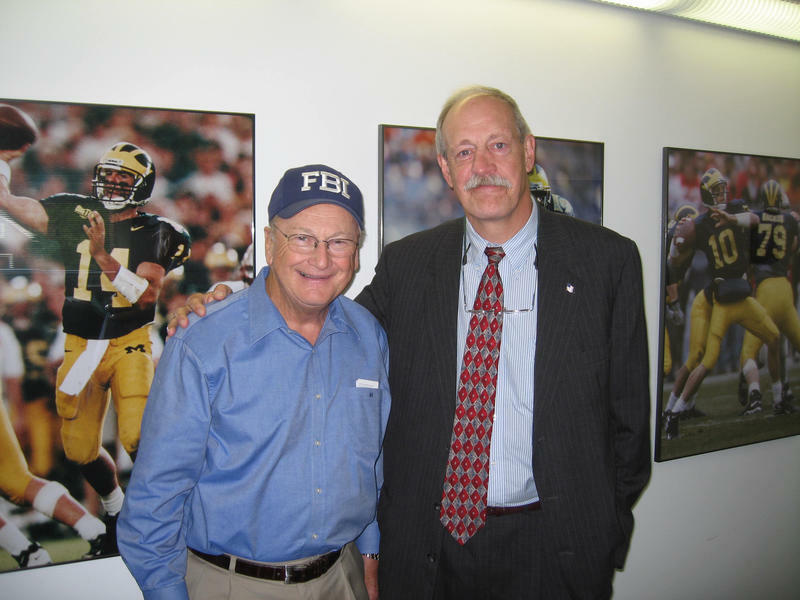 Johnson is communications director with the Michigan High School Athletic Association. Bellefeuil is head coach of the Powers North Central High School football team. On Friday night, a football state championship will be on the line when Deckerville High School and Powers North Central square off. The game will be played in Greenville, which is just northeast of Grand Rapids, and for those in attendance it will seem like your average high school football game. Except that instead of 11 players on each side, there will only be eight. Curtis Samuel swept in for a 15-yard touchdown after Ohio State barely converted a fourth-and-one play, and the second-ranked Buckeyes beat No. COLUMBUS, Ohio (AP) - Ohio Stadium is sure to be rocking on Saturday when the rival Ohio State and Michigan football teams take the field. Geologists will find out just how much. They've planted sensors around the stadium this year to measure the seismic activity created by fans.